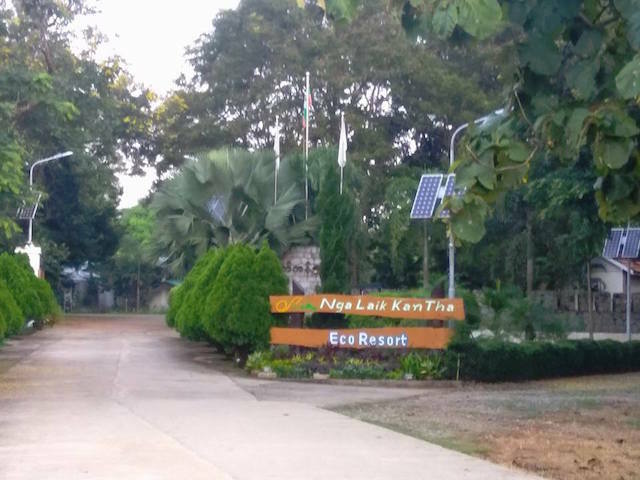 Nga Lite Kan Thar Eco Resort is just a 15 miles away from Nay Pyi Taw, Myanmar. 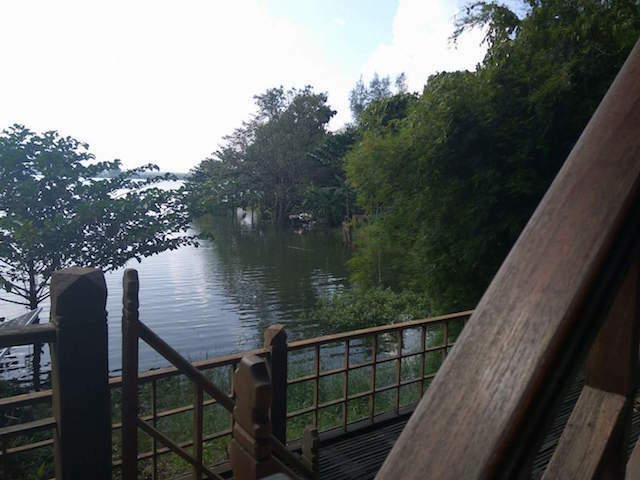 The burmese chalet houses are really affordable for the price they have offered which is around USD 50 - 70/80 depending on the size of the house. The house we stayed is really beautiful overlooking the Nga Lite Dam. Across to our room there are a flock of white geese swimming to and fro the lake. It is surrounded by the dam as well as shady trees. It gets hot in the day time but you have 3 aircons in the room. Why is the place so unique ? 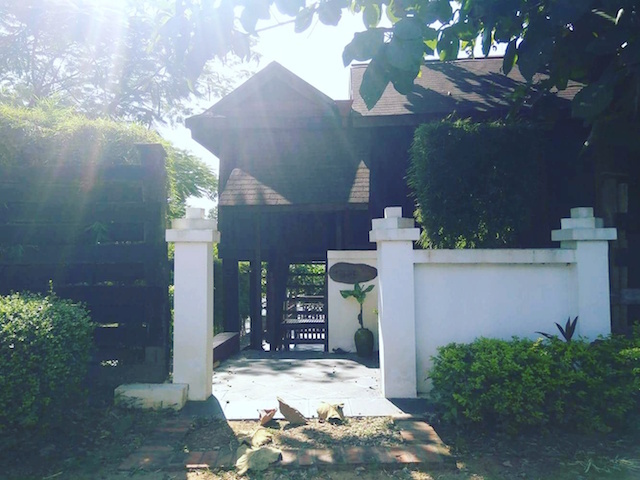 They bought old traditional houses from else where, brought all back to Nay Pyi Taw and renovated to get these stilt houses that are really cool. In most of the rooms, you can see the photo of the original houses at original locations. The architect behind this hotel project was Mr Aung Soe Myint and the hotel group who own this hotel also have a hotel in Ngwe Saung called BOB. And the sunset is the one of the most beautiful sunsets you can enjoy in Myanmar. Plus point is there is no one else than you to enjoy. It's all yours. We walked to the dam in the morning. Everything was quiet and beautiful. There is no swimming pool but they have a dam so I guess it's alright. The renovation was so well done that you are still living in the ancient burmese stilt house but comfortably, the lights and lamps are made out of bait stations. 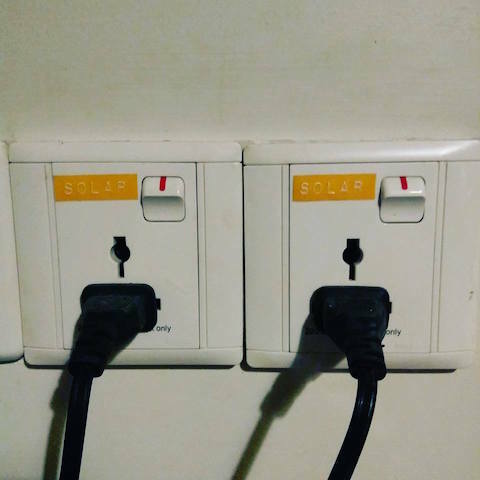 The whole house or the hotel is powered by solar energy but EPC is also available in the room in case of emergency. They used traditional marbles to decorate the bathroom floor. And the bathroom amenities are so complete with everything you could ask for. I love the fact that the bath room mirror is well lit (I mean which girl doesn't.) The wires for the lighting outside the house were covered with bamboo as well as the cover on the light is made out of metal meal boxes for monks. The used glass bottles are used for water drainage systems. Well you can look each items or materials in the hotel compound and you will find out more about the the hotel. It's like a treasure hunt for me figuring out which is what and how they used those materials. The breakfast was really delicious. They have a garden at the back so I think they use vegetables from the garden for the meals. Pretty sure they buy some too. 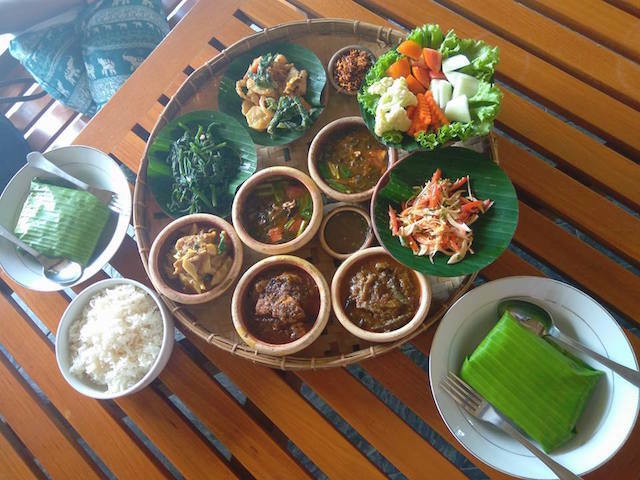 Please order "Za Kaw Htamin" or "Daung Lan Htamin" which comes in traditional clay pots and banana leaves. They will tell you that 12000 Kyats meal set is good enough for 2 people. Well that's a lie. It could feed 4 people easily. You know how it is in Nay Pyi Taw. All the hotels and restaurants will treat you like King 24/7. Yes, if you want it they give it. The whole town is out there to please you. Probably because they don't receive so many travellers except for business reasons. So basically you have at the whole town for yourselves. It is the same here. When I walked in, they know my name and my room number. It's hard to get that kind of service else where. It was in room check in when we arrived (You all know that is only available for VIPs in other countries.) . I drove my car to the entrance of my house. 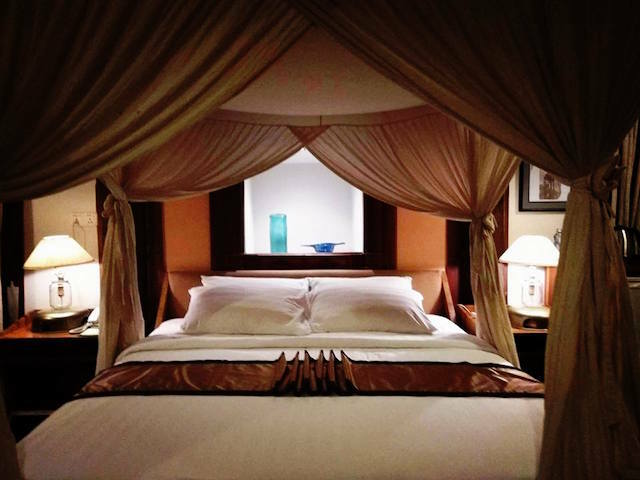 Nay Pyi Taw is definitely a place for business and hell yeah for R&R. The town is half an hour away but coming from Yangon it is so awesome to drive around on 10 lane road with no traffic or no car on the road. I went to Kempinski for Tea and there is a buffet restaurant (Shwe Si Daw) nearby which is very affordable at 3800 Kyats per person. The meal is so authentic. In the resort, I wish they provide kayaking (that would be more eco friendly) but they only provide boats that can be rented. If I reserve in advance I could ride an elephant but me being against to animal abuse, I didn't reserve at all. If I don't have to work a few things in the morning or at night, I would probably go for Spa too. But I had my face masked at night with my thoughtful skincare bag I brought from Yangon. This is a good place for team retreat You don't want your team to go anywhere but bond with each other ? This is the place.They can try to walk to Nay Pyi Taw but without a car they will be toasted halfway under the hot weather. For those couples who wants to hide from children, friends, or practically everyone and everything I guess, this is it. It would also be good for a group of girls looking for affordable R&R or Bachelorette party with fun and a little bit of adventure by driving yourselves. Oh yeah, you need to drive by yourself or you will be stuck at the resort forever. I an definitely not a blogger but I am so proud of my first self driving trip so I am writing this.